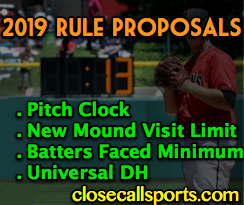 2019 Rule Change Proposals - Pitch Clock & NL DH? MLB, led by Commissioner Rob Manfred, and the Players Association, have discussed various rules proposals and changes, including a handful of pace-of-play measures (the pitch clock idea is back, as is a batters-faced minimum) and a universal designated hitter for both National and American Leagues. The proposal sheet also features several hypothesized changes to rosters, draft, and trade procedures meant to reward winners and punish losers. > 20-second pitch clock with no runners. At this point, the pitch clock is a pace-of-play broken record as Manfred seemingly proposes this every year and the MLBPA rejects it every time. In 2018, MLB implicitly and unofficially floated the possibility that Manfred could use a provision of the CBA with the union to override the players' veto. Naturally, this did not happen and no pitch clock was used in the majors. That said, the pitch clock remains a standard gameplay device in Minor League Baseball. Related Post: Players Reject Pace of Play Proposal, Override Probable (1/19/18). Related Post: Minor League Baseball Issues 2018 Pace of Play Rules (3/14/18). MLB wants to further limit mound visits. > Pitchers must face a minimum of three batters OR end an inning. The idea here is to prevent bullpen use of one-batter specialists and require pitchers to be worth their while through a three-batter (or end-of-inning) requirement. Succinctly, if a team brings in a new pitcher (or the starter throws a pitch to the first batter he faces), under this proposed rule, that pitcher will have to not only face that batter, but two additional batters as well, unless the team gets a third out and ends the inning before the third batter, in which case, the pitcher is relieved of the three-batter requirement. This rule would allow for very narrow exceptions, including injury. > Reduction in Mound Visits from Six to Five. In 2018, MLB introduced a mound visit limit of six per game, designed to prevent habitual time-wasting by catchers who routinely would meet with their pitchers. The 2019 proposal thus further cracks down on mound visit limits by taking the number from six to five. Umpires would still be authorized to permit an excess visit under limited circumstances. Related Post: 2018 Pace of Play Changes Limit Mound Visits, No Clock (2/19/18). 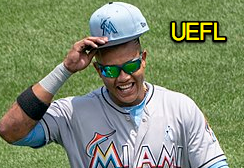 > Extra Inning Tie-Breaker Rule (Pre-Placed Runner at Second Base). 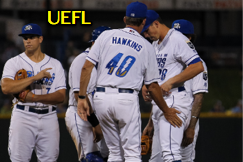 After a 2017 test run in the Arizona and Gulf Coast Leagues, Minor League Baseball in 2018 adopted the extra inning tie-breaker rule throughout its Rookie-to-Triple-A leagues. Now, MLB wants to bring this overturn speed-up rule to the bigs—but not yet to the regular and post-season. MLB wants to adopt this rule specifically for Spring Training and the All-Star Game...for now. 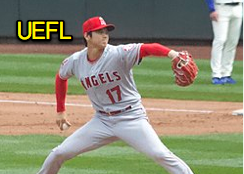 P/DH Shohei Ohtani could get NL work. > Universal DH. This rule would allow National League clubs to make use of the Designated Hitter in NL ballparks, essentially an attempt to inject more offense into a game that has been decried for its lack of excitement. > Expansion of Rosters from 25 to 26 players, and maximum of 12 pitchers. This gives the MLPA something they'd like (expanded rosters), while giving MLB something it would like (limit on pitchers). If combined with the three-batters-per-pitcher-minimum requirement, the idea is that teams would have no reason to add more than 12 pitchers to the roster in the first place, making the 12-pitcher maximum a redundancy more than a rule. MLB wants to punish perennially losing teams. > Single Trade Deadline Before All-Star Break. Instead of a July 31 trade deadline and August 31 waiver-trade deadline, MLB wants to combine the transactions date into one overall trade deadline before the All-Star Game. > Draft Penalty for Losing Teams, Reward for Winning Teams. This would change the draft order for the purpose of rewarding teams that win by offering them greater draft position, while punishing teams that habitually lose by penalizing them in the draft...this proposal is very much the opposite of what other sports, such as basketball or hockey, do with their drafts. MLB believes that by punishing teams that lose, the teams will respond by winning games.